The lysosomal polypeptide transporter ABCB9 translocates peptides from the cytosol into the lumen of lysosomes driven by the hydrolysis of ATP. Homodimeric ABCB9 can functionally be divided into a core complex, which is fully active in peptide transport but mislocalized to the plasma membrane, and an extra N-terminal transmembrane domain, called TMD0, responsible for lysosomal targeting and interaction with LAMP-1/2. 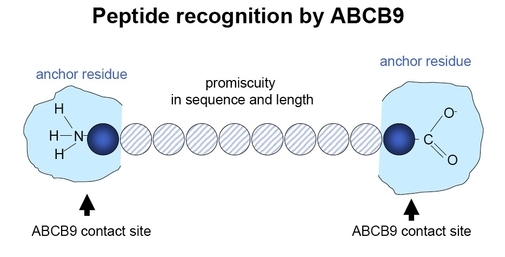 Since ABCB9 has a non-conventional, split lysosomal targeting motif, we will identify the targeting machinery and route using cell biological methods combined with mass spectrometry. To investigate the structure of the unique targeting and interacting domain TMD0, we have established the cell-free expression and optimized the construct for solution NMR spectroscopy. Subsequently, we will solve the first structure of an extra membrane embedded domain of an ABC transporter. The structure of TMD0 will guide further experiments using site specific crosslinking to reveal the interaction sites with the core complex and LAMP-1/2. The structural data will be implemented in the modelling of the macromolecular lysosomal membrane complex. 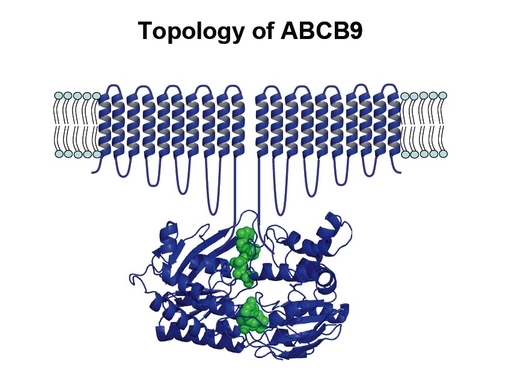 To understand the molecular mechanism of polypeptide transport, we have elucidated peptide binding and demonstrated that ABCB9 functions as an active transporter impeded by trans-inhibition. In future, we will analyze the binding of peptide to the high-affinity site, the dwelling of the peptide in the occluded state, its the release from the low affinity site, as well as dynamics of the transporter by single-molecule techniques. Moreover, by detailed analysis of pre-steady state kinetics, we will study the process of ATP hydrolysis and release of hydrolysis products to identify the rate limiting step and to detect differences between basal ATPase activity and peptide induced hydrolysis. Zollmann T, Moiset G, Tumulka F, Tampé R, Poolman B, Abele R (2015) Single liposome analysis of peptide translocation by the ABC transporter TAPL. Proc Natl Acad Sci USA 112, 2046-2051. Blees A, Reichel K, Trowitzsch S, Fisette O, Bock C, Abele R, Hummer G, Schäfer LV, Tampé R (2015) Assembly of the MHC I peptide-loading complex determined by a conserved ionic lock-switch. Sci Rep 5, 17341. Löhr F, Tumulka F, Bock C, Abele R*, Dötsch V* (2015) An extended combinatorial 15N, 13Calpha, and 13C' labeling approach to protein backbone resonance assignment. J Biomol NMR 62, 263-79. Thiele F, Tao S, Zhang Y, Muschaweckh A, Zollmann T, Protzer U, Abele R, Drexler I (2015). Modified vaccinia virus Ankara-infected dendritic cells present CD4+ T-cell epitopes by endogenous major histocompatibility complex class II presentation pathways. J Virol 89, 2698-2709. Zollmann T, Bock C, Graab P, Abele R (2015) Team work at its best - TAPL and its two domains. Biol Chem 396, 967-74. Grossmann N, Vakkasoglu AS, Hulpke S, Abele R, Gaudet R, Tampé R (2014). Mechanistic determinants of the directionality and energetics of active export by a heterodimeric ABC transporter. Nat Commun 5, 5419. Löhr F, Laguerre A, Bock C, Reckel S, Connolly PJ, Abdul-Manan N, Tumulka F, Abele R, Moore JM, Dötsch V (2014). Time-shared experiments for efficient assignment of triple-selectively labeled proteins. J Magn Reson 248, 81-95. Tumulka F, Roos C, Löhr F, Bock C, Bernhard F, Dötsch V, Abele R (2013). Conformational stabilization of the membrane embedded targeting domain of the lysosomal peptide transporter TAPL for solution NMR. J Biomol NMR 57, 141-154. 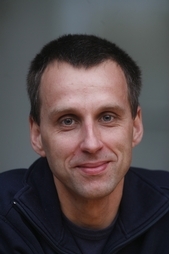 Demirel Ö, Jan I, Wolters D, Blanz J, Saftig P, Tampé R, Abele R (2012). The lysosomal polypeptide transporter TAPL is stabilized by interaction with LAMP-1 and LAMP-2. J Cell Sci 125, 4230-4240. Hulpke S, Tomioka M, Kremmer E, Ueda K, Abele R, Tampé R (2012). Direct evidence that the N-terminal extensions of the TAP complex act as autonomous interaction scaffolds for the assembly of the MHC I peptide-loading complex. Cell Mol Life Sci 69, 3317-3327.